You may have heard that I will NOT back John Ratcliffe in the runoff for the 4th congressional district, and in fact I will back Ralph Hall for one more term. Here is my logic regarding my decision. Ratcliffe is a lawyer with Hard Connections with a top 10 lobbying firm in DC. In fact Ratcliffe is a partner in the Ashcroft Group which is a DC lobbying firm. THIS will not be the way to get representation for our District. The representation will be focused upon the Clients of the Ashcroft Group, not the Voters of the 4th district. Please understand that in my mind, the alternative to a politician and insider lawyer that I offered was that of a Businessman. My business experience and life experience was the key. Having 40 years experience in the private business sector is something that Congress rarely sees. There is none of that experience in Ratcliffe, In fact he has been a government employee and bureaucrat in the DOJ for years. Ratcliffe, also followed a $52 million dollar, no bid contract that went from the DOJ to the same lobbying firm, The Ashcroft Group, as a partner in that firm. He now wants to take the Congressional seat. Our concerns in NE Texas will not be the same as those of the Ashcroft Group Clients. Does anyone think that these clients will not have any sway in what Ratcliffe would stand for and vote for? Again Ratcliffe is an insider, with solid connections to a top 10 Lobbying firm in DC. That is NOT the way to regain our country or our Constitutional Republic back. We have enough Crony Deals to overcome already. Finally, this means that I will be back to fight another day. I will offer the same alternative as I did this time. Experience and background that will help to regain our Republic, not compromise it. Voting for Ratcliffe will not help our cause, nor will it allow for a True Conservative to hold this seat in the near future. If Ratcliffe, the moderate connected insider, was to win this seat, it might be years before we get another true conservative as our Representative. Nothing changes other than we work toward 2016 to take this seat for the right reason. My goal was never to just remove Ralph Hall, but to Replace Hall with the right person with our values when the time comes. This is why I am supporting and Endorsing Ralph Hall in this runoff. Take another look at my Mailer on the last page. it spells out why a no vote for Ratcliffe is in order. God Bless America and God Bless Texas! Thanks to all who voted for me. I will see you again next primary. Runoff Elections are May 27, 2014 – Your Vote Is Important! 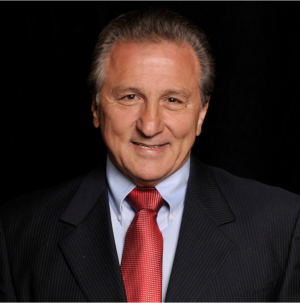 Learn more about Lou Gigliotti from his campaign website via this link. Previous Post Why Does This President Intentionally Delay Submission of a Budget? If I wanted a chance to win that seat in 2 years, I’d make sure the other guy didn’t win too. Lou’s best chance at running again is if Hall gets back to DC. If Ratcliffe, the right guy, wins…Lou will just be a loser, again – again – again. Makes more sense huh? OR, perhaps Lou means exactly what he says. I understand he has a reputation for being plain spoken. I’ll accept what he says at face value.